Tiger Woods admits he is still unsure of his pre-Masters schedule ahead of making his first professional appearance in Mexico at the WGC-Mexico Championship. The 43-year-old's visit to Chapultepec Golf Club will be his third PGA Tour start of 2019, having followed a scheduled-20th finish at the Farmers Insurance Open by claiming a share of 15th at the Genesis Open last week. 19659008] The run of tournaments after Mexico pose a number of questions for Woods ahead of the opening major of the year, with next week's Honda the first of four consecutive events in his home state of Florida. 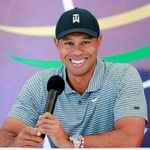 The Arnold Palmer Invitational and the Players Championship are where Woods has won a combined 10 of his 80 PGA Tour titles, while the Valspar Championship the week after was where the 14-time major champion narrowly missed out on victory in 2018. "From here on out it's very complicated," Woods told the media on Wednesday. "That's what I'm trying to figure out; how much to play, how much is too much, how much is not enough. "Next week is home for me, then there's a tournament I've won eight times, then another event I've won a couple of times and then the week after is where I had another unbelievable week last year. "At the end of the day, it's being ready enough for April and making sure I get enough competitive rounds in. That's one of the reasons why I put a Tampa [Valspar Championship] last year after I missed the cut in LA [Genesis Open]to make sure I get some rounds in and be ready ready. "This year is more complicated than I feel better, but I've got four events right there in my state that I live in." Woods is an 18-time winner of World Golf Championship events but has won a major since claiming the 2008 US Open, with the form world No 1 already having one eye on the Masters. "Augusta started [being on my radar] probably back in October , November, "Woods added. Last year's preparation was different and previous years it was non-existent.
] Watch the WGC-Mexico Championship over the week live on Sky Sports. Live coverage begins on Thursday from 5pm on Sky Sports Golf and Sky Sports Main Event.